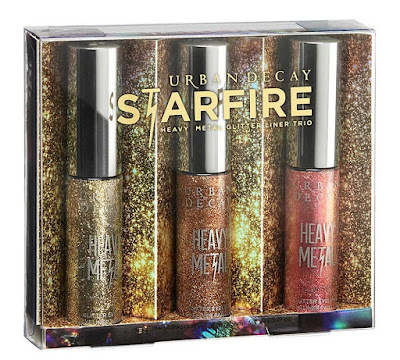 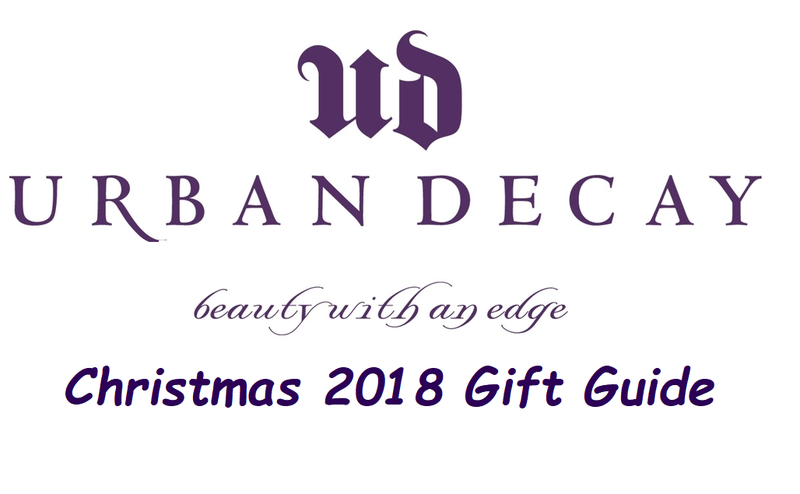 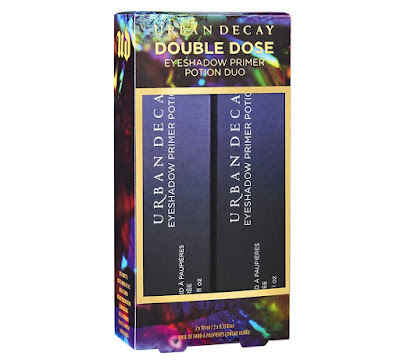 Presenting incredible gift sets from Urban Decay Cosmetics! Urban Decay Cosmetics innovations are dedicated to eye and face make-up, with particular attention to pre and post make up products, offers a wide range of beautiful gift sets. Perfect as a treat for yourself or a gift for a friend, so make sure you add them to your Santa’s wish list. 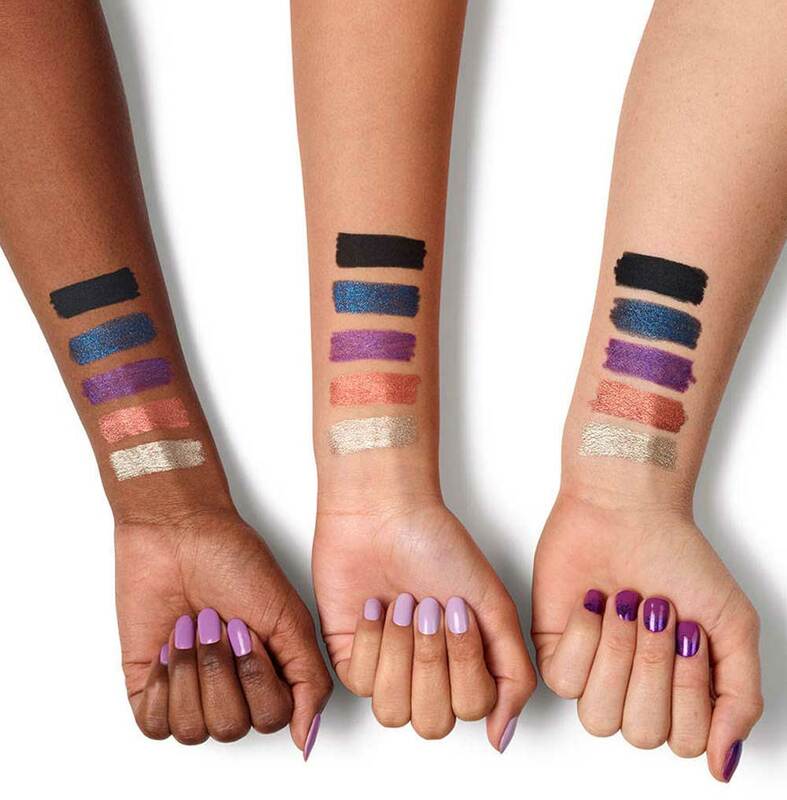 A set of three Heavy Metal eyeliners in full size, featuring a transparent base enriched with a shower of colored micro-processions. The right gift for you is undoubtedly the set of eye pencils, this exclusive kit has five deluxe mini-size of the beloved 24/7 Glide-On Eye Pencil, characterized by intense long-lasting shades. 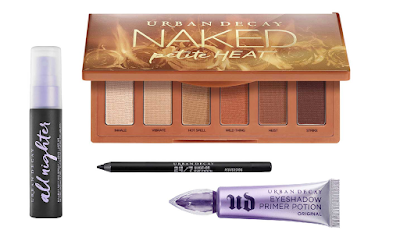 A make-up set dedicated to mini-size products that ensure exceptional durability for face and eye make-up. 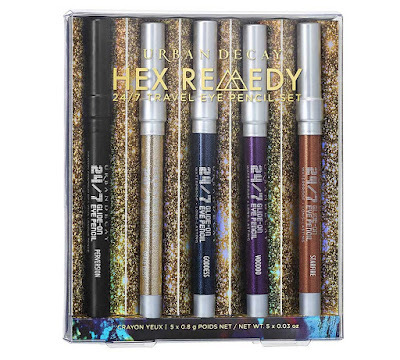 The perfect gift for lovers of intense eye makeup. 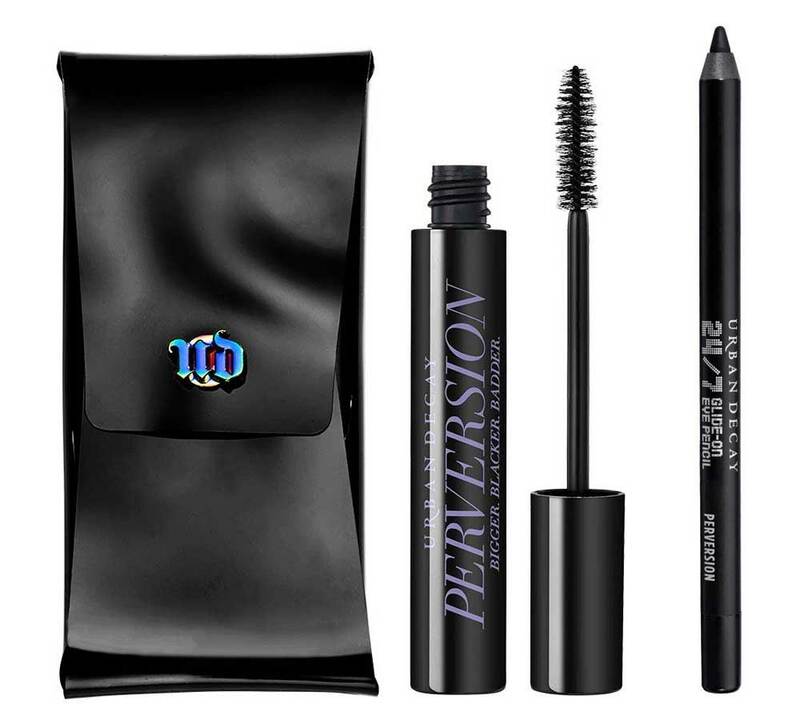 Urban Decay offers an exclusive black clutch bag with two of its best sellers, the super resistant Perversion Eye Pencil and the Perversion Volume Effect Mascara. 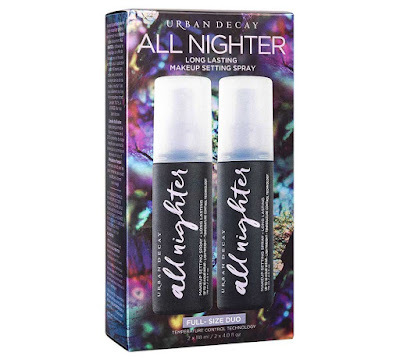 The legendary All Nighter Urban Decay Setting Spay is presented in an exclusive kit consisting of two full size of the beloved spray setting. 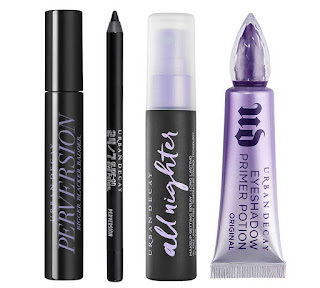 Another super set of two full size Primer Potion Eye Primer and all for the price of one! 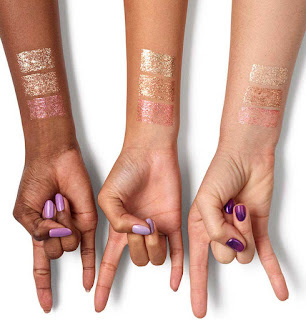 The Primer Potion Eye Primer makes the eyeshadows more vibrant and guarantees an exceptional durability. 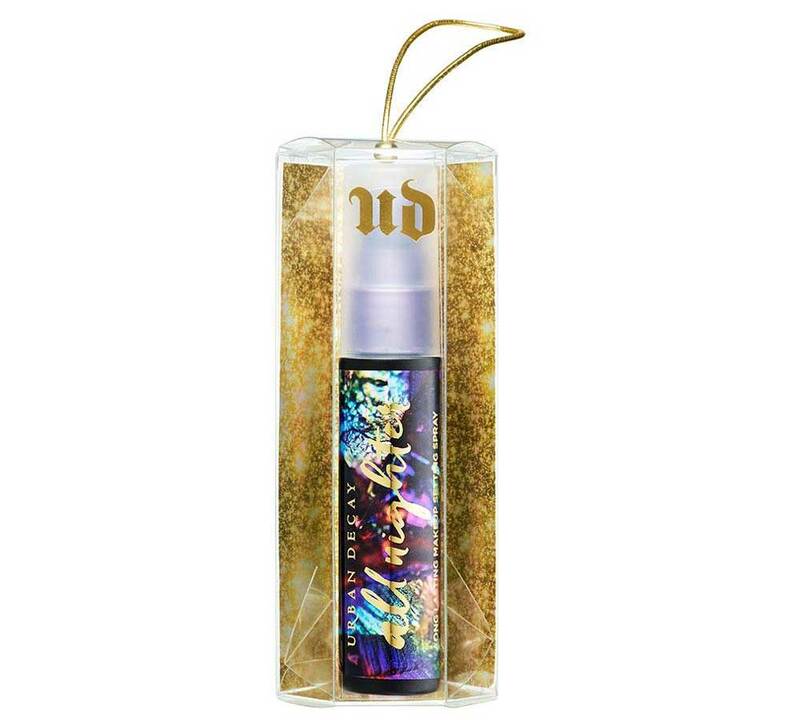 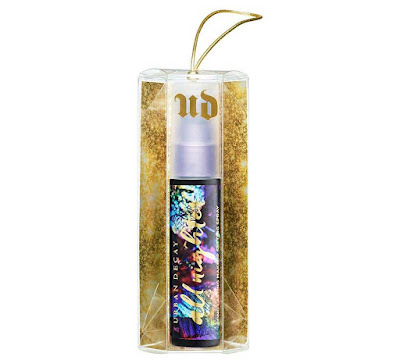 Urban Decay amazes us with a delicious make-up theme ornament to hang on the branches of our Christmas tree, the small jewel casket contains an All Nighter mini-setting spray. 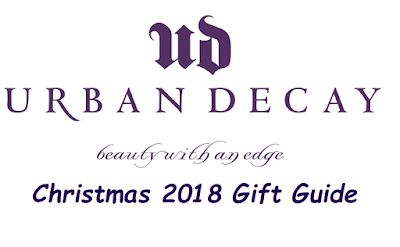 The Urban Decay Christmas 2018 Gift Set are available now online here, Sephora, Debenhams and from leading Urban Decay counters.